Ever wonder why, despite the heroic efforts of a few doctors, Health Canada, the Canadian Medical Association, provincial medical associations, and local health authorities, are still miles away from accepting cannabis as a medicine? Here’s a brief history that sheds a little light on ignorance, 21st Century Style. In 1841, O’Shaughnessy returned to England, bringing with him quantities of what was then called Indian Hemp or Cannabis Indica. He distributed it liberally to pharmacists and practitioners in England and North America. Based on their own experiments, they proceeded to publish over a hundred papers on Indian Hemp in English language medical journals. By 1854 cannabis was listed in the US Dispensatory; at the 1876 Centennial Exposition in Philadelphia, pharmacists carried up to 10 lb. of hashish. Thus in 1890, or thereabouts, any respectable citizen of Canada, the US, England, or Ireland, could walk into a pharmacy and purchase without prescription, a bottle of cannabis tincture or oil, either alone or mixed with other substances. The pharmaceutical company, Parke-Davis produced what it called Cannabis Americana; Smith Brothers, Squibb, Lilly, Burroughs, and Wellcome made and sold similar products. There were smoking forms as well. The pharmaceutical company, Grimault and Sons, for example, produced cannabis cigarettes for treating asthma. But this era turned out to be brief. Notwithstanding the buoyant market, by the late 19th Century, physicians’ interest in cannabis had begun to wane. Three discoveries helped to bring this decline about. 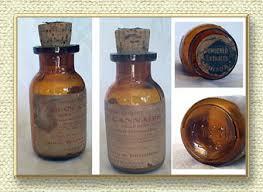 In 1827, the German pharmaceutical company, Merck, developed an opium derivative: water-soluble morphine. 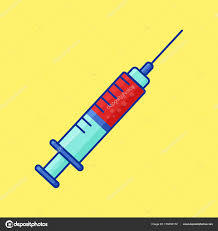 Then, in the years 1853-55, researchers in Ireland, Scotland and France developed the hypodermic needle. Injectable morphine was quicker and more effective than cannabis for relieving acute pain, and achieved high status in hospitals during the American Civil War, and WWI. Moreover, morphine was easier than cannabis to titrate precisely. Third, in the 1890s, the German firm, Bayer, produced, and began to sell aspirin, an alternative mild pain reliever, which gained wide acceptance. A broader set of events pushed cannabis’ decline further still. The 19th Century saw the advent of entirely new sources of medicine, heralding a dramatic shift in medical practice. By the 1850s, chemists working in Germany and England had identified the building blocks of the natural world: carbon, oxygen, hydrogen, nitrogen, and sulphur. Assembled by nature, they made the substances of everyday life. If one could figure out how this assembly was done, chemists reasoned, one could copy it, and perhaps even improve on it. Their work built the field of organic chemistry, new and revolutionary for the time. Lodged in the industrial age, the chemists had the benefit of a cheap, widely accessible substance with all the requisite elements: coal tar, the residue left when coal is refined to make lamp oil. In 1856, an 18-year old English chemist named William Perkin attempted, from this substance, to synthesize quinine, the only remedy at the time, for malaria. He failed, but in the process produced a solution that, when applied to textiles, turned them a glorious shade of purple. 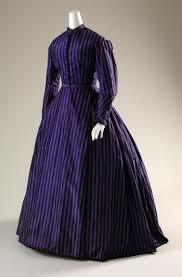 Purple dyes had long been expensive to produce, as natural sources were scarce. The invention thrilled the textile industry, bustling at the time, to produce fashions for a newly moneyed, industrial class of consumers. It also made Perkin a fortune. Other colours followed, brighter and cheaper than the vegetable dyes that preceded them. The dyes’ usefulness, however, extended to well beyond the world of fashion. They turned out to be superb stains for specimens to be viewed under a microscope. The deeper colours illuminated cell structure as never before, making possible more detailed studies in cell biology, furthering the field of bacteriology. With their help in 1880 German chemist, Robert Koch, identified the bacterium for anthrax; in 1882, the bacterium for tuberculosis; and in 1884, the bacterium for cholera. That same year two other German bacteriologists, Edwin Klebs and Freidrich Loeffler, identified the bacterium for diphtheria. The substance that lit up the tuberculosis bacterium was methylene violet, a dye developed by Paul Ehrlich, soon to become a colleague of Koch’s, and later to win a Nobel Prize. Ehrlich had an idea that went beyond shining a light on pathogens. He wanted to explore the affinities between pathogens and the dyes that lit them up, in order to find ones that might act directly as toxins, knocking the pathogens out. In 1900, he called the toxins-to-be, “magic bullets,” and the project of using them, “chemotherapy.” The world in 1900 had not yet seen a real magic bullet, but in 1931, the pharmaceutical company, I G Farben, found one. It developed a sulphur-based dye, Streptozon, which proved to be an effective antibiotic in mice. By 1935, the firm was able to market the first sulpha drug, Sulfanilamide, named after its parent element. It has to be said that bacteriology has benefited us immensely. And one can scarcely miss the rush of these exciting times. Unhappily, they helped to create an exclusive concept of medicine that reigns supreme to this day: synthetic, and highly specific in its aim. Dye works, thus, were foundational to many pharmaceutical companies: Ciba, BASF, Bayer, Sandoz, Hoechst, Geigy, to name a few. Equally foundational: medicine-making became a natural-seeming offshoot of the revolution that brought us synthetic soaps, detergents, fertilizers, plastics, cosmetics, textiles, and explosives. These activities married pharmaceuticals to big industry, and doctors to them both. As the West embraced the union, traditional remedies, herbs, and other holistic methods sank into obscurity, viewed as outmoded, and unprogressive. The dye factories were making the workers sick; new fertilizers were killing the soil, oils were creeping onto the beaches, and plastics were on the way to choking the oceans. But in 1950, heady with penicillin, and phenothiazine, the world’s first anti-psychotic, derived from methylene blue, those facts were a distant bell. Thus when, in 1937, cannabis was banned in the US, although a representative of the American Medical Association objected, doctors in general did not. And when in 1942, it was forced out of the medical formulary, although a few pharmacists objected, pharma as a whole did not. Doctors and pharmacists had become heir, as well, to another important cultural shift. The golden age of cannabis was a home remedy era. Drugs available today by prescription only, and some that have become illegal, were at the disposal of every adult who could pay for them. Cocaine, opium preparations, cannabis, and many more drugs could be purchased over the counter, singly, or as part of a patent formula. A hundred years later, and not without some public support, enforceable regulations had turned almost anything useful into a banned, or prescription only medicine, and doctors into enforced caretakers. In the interim, the non-synthetics: older patent meds, plus opium, cocaine and cannabis, were much maligned. But in truth, they hadn’t been killing anyone, and were probably excellent at easing chronic aches and pains. More importantly, the freedom to choose would have afforded their consumers a level of dignity one derives only from relying on one’s own judgments, and resources. It is this level of dignity that medical cannabis consumers have been fighting to regain, and to maintain. Cannabis is the quintessential DIY medicine, best self tested, self titrated, and if possible, self grown. This is a tough fight, as medical authorities have been trained, medically speaking, to be in loco parentis. So if your doc won’t talk to you, have some sympathy; the petrochemical legacy may take generations to wear off. …. older patent meds, plus opium, cocaine and cannabis, were much maligned. But in truth, they hadn’t been killing anyone….Did you ever hear about the Opium dens in Europe and the Far East? Did you know that arsenic and mercury were common ingredients in Patent medicines, back in the day? Did you know that before the pharmacologists isolated digoxin from the foxglove leaf, people died from cardiac arrest using digitalis lanata (foxglove) leaves for the Dropsy, although it helped many? It’s called “Science” – treatment based on knowledge. By all means, don’t have your dignity offended: consume cannabis. It’s legal again, at last. But if you or your kids develop schizophrenia, or seizures, don’t be surprised if you are told that the pharmacogenomic interaction between cannabis and your genes is responsible! It is not as simple as it seems – that’s why we have “Science”! Teaching Cannabis Medicine in Canada: Interviews with Dr. David Hepburn and Dr. Robert Sealy.